Office Assistant (Multipurpose) recruitment in Baroda Uttar Pradesh Gramin Bank from Indian citizens who have been declared qualified at the Online CWE –III for RRBs conducted by IBPS during September/ October 2014. OR b. Native language at 10thStd level OR c. Local language at any level upto graduation level Note : As per policy adopted by our Bank Hindi, Urdu & Sanskrit shall be considered as Local/Native language for the above purpose. 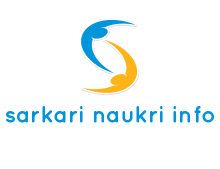 Application Fee: Office Assistant (Multipurpose) - Rs. 20/- for SC/ST/PWD/EXSM candidates. - Rs.100/- for all others. Requisite Application Fee may be paid through CBS at any of the Branches of Baroda Uttar Pradesh Gramin Bank by means of a Payment challan.The payment towards application fee through CBS can be made between 21.07.2015 and 05.08.2015. Probation Period: Selected candidates will be on probation for -01-(one) year. Selection Procedure: For Office Assistant (Multipurpose):- Selection will be made on the basis of performance in RRBs- CWE-III conducted by IBPS in September/ October 2014 and Personal Interview. Merit list of the candidates for final selection based on Total Weighted Scores (TWS) obtained by them in CWE of IBPS and Personal Interview will be prepared in descending order under each SC/ST/OBC/UR category. Personal Interview: Depending on the number of vacancies, Bank will call from among who have applied to bank, the number, equivalent to three times the number of vacancies shortlisted based on their Total Weighted Scores (TWS). Remaining applicants, if any will not receive an interview call from the Bank. The total marks for Interview will be 30. K. INTERVIEW CENTRE: The Interview will be held at the Raebareli centre. Service Idemnity Bond : At the time of joining, all the selected candidates shall be required to execute a service indemnity bond and undertaking to serve the Bank for a minimum period of three years or else pay to the Bank an amount of Rs 1,00,000/- (one lac rupees) in case of employee (Office Assistant –multipurpose), if he/she resigns from the services of the Bank before completing the stipulated minimum service period of three years. Opening date for Online Registration 21.07.2015 . Last Date for Online Registration 05.08.2015. Beginning date of Payment of Application Fees 21.07.2015 to 05.08.2015 .